Is it feed a fever and starve a cold? Well, if the adage fits, I have a few good ways to feed a cabin fever, starting with a tale from the top of the world. Inspector Erlendur has always been a gloomy Gus; right from the day he was presented in Jar City, the first book in Arnaldur Indriðason's Icelandic series. His personality seemed to reflect the winters of the Arctic Circle. Those who have experienced the polar vortex of '14 and the polar vortex redux of '15 would know that this explained a lot. But you couldn't help but like him, because he was also a sensible, dogged detective who tended to solve his cases. One of his endearing characteristics was his compassion, and the seeds of this lay deep in his past, stemming form the day he lost he brother in a blizzard when their palms were wrenched apart. The most recent novel in the series, Strange Shores, was to be Erlendur's final story, but Indriðason has been able to bring us a few tales, which take place early in the career of Erlendur Sveinsson. In all the books I’ve read in this series, this is the first time I have been aware of his last name. 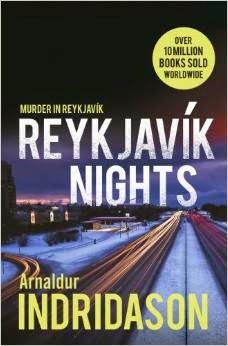 Although not the first prequel in print, Reykjavik Nights (Minotaur, April 21) is the first one translated. As a young cop, Erlendur goes on routine patrol in all the seedy parts of town and becomes acquainted with a tramp named Hannibal. Hannibal dies, supposedly of natural causes, but which Erlender begins to investigate on own his time. In the course of this sleuthing, he realizes his desire to be a detective. He finds connections to another death, that of a young woman. 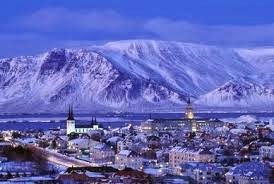 The story takes place in 1974, during a time when Reykjavik is gearing up for the festival celebrating the 1100th anniversary of the settlement of Iceland. I am waiting eagerly for a chance to meet the young, hopefully less somber Erlendur. There's not a more pleasant place on the East Coast to spend the summer than eastern Long Island. 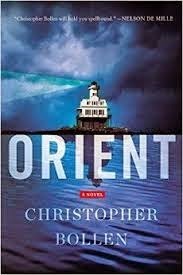 Christopher Bollen sets his second novel, Orient (Harper, May 5,) on a small historic town on the Island's north fork. Orient, as the town is called, was once a quiet place, whose local flavor is now changing, with the influx of moneyed Manhattanites both arty and crafty. Not one of these types is another newcomer, Mills Chivern, a young loner who has blown in from the west and made himself at home. Toward the end of the summer, a local man is found dead in the open water at the same time that a humongous bloated animal corpse is found on the beach. It is presumed to be a product of a nearby research lab. Because he feels he has to save his own skin, Mills joins Beth, an Orient native, to find the killer as the bodies pile up. I am imagining Jaws vs. The Amityville Horror, and if you are looking for thrills, this one seems to be a good bet. 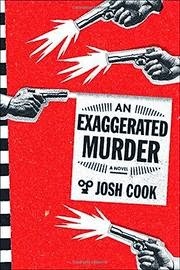 And now, for a bit of fun, try Josh Cook's An Exaggerated Murder (Melville House, March 3). Trike Augustine is a PI who feels his deductive skills may rival the great Holmes, but they don't seem to be any help in the case of a missing moneybags. For one thing, the clues are pathetically obscure. What can you intuit about a dead pig in the living room? It might help if Trike's two Watsons––Max, the former FBI agent, and Lola, the artist––had a clue between them. This book is touted to be funny, but I'll reserve judgment. Josh Cook is a writer from Boston who works in a bookstore while he writes. From this clue, I deduce that I just might like this book, whether it's funny or not. In Spider Woman’s Daughter (Harper, 2014), Anne Hillerman breathed new life into her father Tony Hillerman's wonderful characters, Lt. Joe Leaphorn and Sgt. Jim Chee, and fleshed out Bernadette ("Bernie") Manualito, who became Chee's love interest as they solved crimes in Navajo Territory. 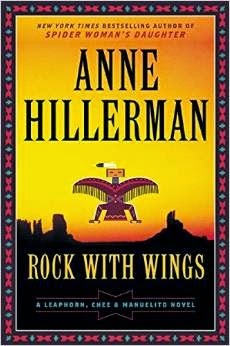 In Rock with Wings (Harper, May 5), Anne Hillerman continues the series and, by focusing on Officer Manuelito, who is now married to Chee, she tells the story from a female point of view. Bernadette, like many women, plays a dual role; taking care of family, which also includes an aging mother and a troublesome younger sister, while trying to do her job, which at the present seems to be a collection of unrelated incidents. Chee is working on his own set of crimes. Even though he has retired, Joe Leaphorn still plays a role, because he is the guru to whom the younger police officers turn to help them make sense of what clues they find in their search for the answers. Hillerman père et Hillerman fille both bring more to the story than just the facts, ma'am, and I look forward to spending some time with this book. The action takes place near the Rock with Wings, as the Navajo call the Shiprock Monument in New Mexico in the center of the Navajo Reservation. It is a monument of special meaning to the Diné, as the Navajo refer to their people. Hillerman takes the reader to a place with grand vistas and she does my cabin fever good. Over the years, Salvo Montalbano has had a good angel on one shoulder, reminding him of the right thing to do, and its opposite number on the other shoulder, tempting and teasing. 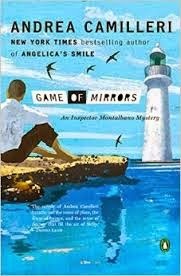 In all the years I've been reading about Andrea Camilleri's police detective, the good angel has won out––except for a flirt with infidelity in Camilleri's last book, Angelica’s Smile (Penguin, 2014). His self-control is beginning to slip again in his latest, Game of Mirrors (translated from the Italian by Stephen Sartarelli; Penguin, March 31). Rescuing his neighbor from a car that needed CPR, Salvo becomes intrigued with Liliana Lombardo and he finds that his rift with longtime girlfriend, Livia, is giving him a little leeway for romantic dalliance. Some bombing of local warehouses is keeping him occupied and, while looking into the motives for the bombings (because nothing is ever simple in Sicily), Montalbano wants to listen to his bad angel. But he is a wily character himself and, as he closes in on the criminals, Liliana disappears. Then it's a case of cerca donna (cherchez la femme). These books are a lot of fun and I am glad to say that there are at least four more waiting in the wings for translation. 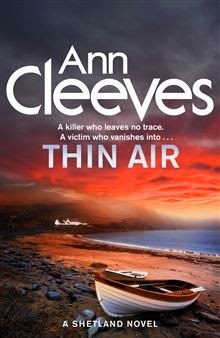 Jimmy Perez of the Shetland Island police, and his colleague, Sandy Wilson, are also out cherchez-ing la femme in Ann Cleeves's latest, Thin Air (Minotour, May 5). In northern Scotland, there is a peculiar phenomenon near the time of the summer solstice that the Shetlanders call the summer dim. It is into this strange, almost hallucinogenic light of the midnight sun, that a young woman, Eleanor, walks out and disappears into thin air. Eleanor is one of a group of young people who were friends at university and who have come to Unst, the northernmost of the Shetland Isles. They have taken a holiday cottage and plan to stay for a week, while two of their group celebrate their marriage with local hamefarin dance. Eleanor seemingly sends a text telling her friends not to look for. But, of course, they do––and find her body in a pool of water, looking posed. Ann Cleeves looks deep into the souls of both the characters visiting and the protagonists investigating, and also into the hearts and minds of the native islanders, making this book quite a feast. 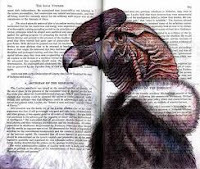 A nice way to keep from starving for reading material in the cold. I really need to read the Ann Cleeves series. I actually have the first book but just haven't started (story of my reading life). ORIENT is in my review plans for the release. It sounds fantastic and I can't wait to start it. This first in the Cleeves Shetland series is a great way to start. There is a new BBC TV series featuring Jimmy Perez which doesn't appear to be available in the US as yet. Naturally Perez as described by Cleeves is a dark featured man supposedly a descendant of a Spanish survivor from the wreck of the armada. The TV detective is pictured as blond. Hmmm.